Robbie Williams – BRITs Swing Icon? As British pop icons go there are few (if any) bigger than Robbie Williams. And in the week when ITV1 celebrated Robbie being awarded the BRITs Icon award with a special one-off programme, Brits Icon: Robbie Williams, we thought it would be an opportune moment to look back on the ex-Take That man’s contribution to swing. There is little doubting Robbie’s credentials for being rewarded with BRITs Icon award, which he will be officially presented with at February’s Brit Awards ceremony. He already has 17 Brit Awards from his time in Take That and his highly successful solo career. He recently also became officially recognised as the most successful British solo artist of all time. In fact, if there’s a record to be had, you can virtually guarantee that Robbie has broken it and has it to his name. But we are not here to mark the man’s illustrious career, tell his story or pick out his career highlights. You are bound to see much of that elsewhere in the media this week. It will continue until he actually picks the title up in a couple of months’ time. For us, it’s all about the swing. All music genres have their niches and to some people – the aficionados – these niches are very important. From Thrash Metal to Traditional Jazz, there will be those who devour everything about a musical style. Some even get quite passionate and precious about it all – dance diehards will argue over whether a track is deep enough to be labelled deep house, or progressive enough to be called progressive house. Some might scoff at Robbie Williams and his connection with swing, but his contribution to the enduring popularity of swing is undeniable. Swing When You’re Winning was his 2001 release of Big Band and Great American Songbook standards. Released in November, in perfect time for Christmas, the album had sold 2 million copies in the UK by the end of the year and spent six weeks at the top of the charts. It went on to sell 7 million copies worldwide. The album is unashamedly mainstream. Critics might say it was a cynical Christmas release to collar the ‘perfect stocking filler’ market, but its reviews were overwhelmingly positive – despite NME’s claim that the album ‘mistakes celebrity for entertainment, cabaret for class’. 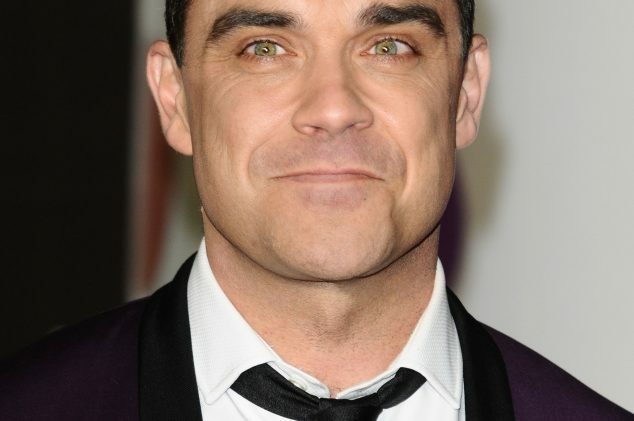 Love him or loathe him, most would agree that Robbie Williams has a decent voice. He can certainly handle a tune and he does so to great effect on this album. The tunes included Mr Bojangles, Ain’t That A Kick In The Head? and Have You Met Miss Jones? The song choices might have been a little safe and obvious, but they are the songs that people want to hear! There’s absolutely nothing wrong with that. What’s more, It Was A Very Good Year saw a Robbie Williams/Frank Sinatra duet. The original backing track and Sinatra vocal were sampled with Robbie adding his own vocals on top. These are songs that have enduring appeal. Swing, Big Band and Rat Pack nights were always popular – but when an artist of Robbie Williams’ status gets in on the act, such popularity will only grow. Swing When You’re Winning certainly brought swing to the masses and to a whole new generation. Robbie followed the album up in 2013 with Swings Both Ways. This again reinforced swing as a perfect form of entertainment. You could make your party, wedding or corporate event a winning event with swing too! Click here to find out more about Silk Street Swing.